Please note the lesson prices are for one person and are non-negotiable. All payments are by PayPal and you can choose to pay in US Dollars, Euro, or New Zealand Dollars. You can use the currency converter on this page to see the approximate rates in your currency. **Optional homework after the lesson. Any writing homework is corrected during class time. 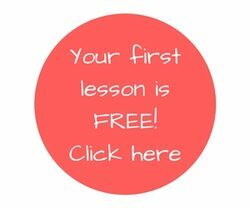 **Free lesson cancellation up to the lesson start time, but if you don't attend a lesson without cancelling, there is a "no-show" fee of NZD $7.50 for 30 minute lessons or NZD $10.00 for 45 minute lessons. This is because I will not be able to use the lost lesson time for a lesson with another student or make any other plans with my time. Please use the currency converter on the right to see the approximate conversion rates in your currency.